Walden is a timeless record of one man's inner journey in the great outdoors. In 1845, Henry David Thoreau set out on a personal experiment that was as simple as it was profound. For two years, two months, and two days he would live apart from civilization, both seeking a better way of life and a better understanding of the life he left behind. He built a rudimentary cabin in some woodland owned by his friend Ralph Waldo Emerson, and set about living simply and independently. Walden is the record of his time in the woods and the insights he gained while there. 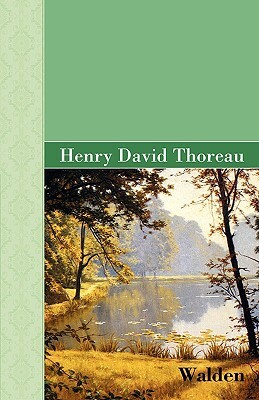 A highly readable combination of philosophy, natural history, and autobiography, Walden is widely regarded as one of the classics of American literature.